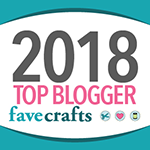 I love crocheting tote bags – they are super handy, fun to crochet, and make great gifts! 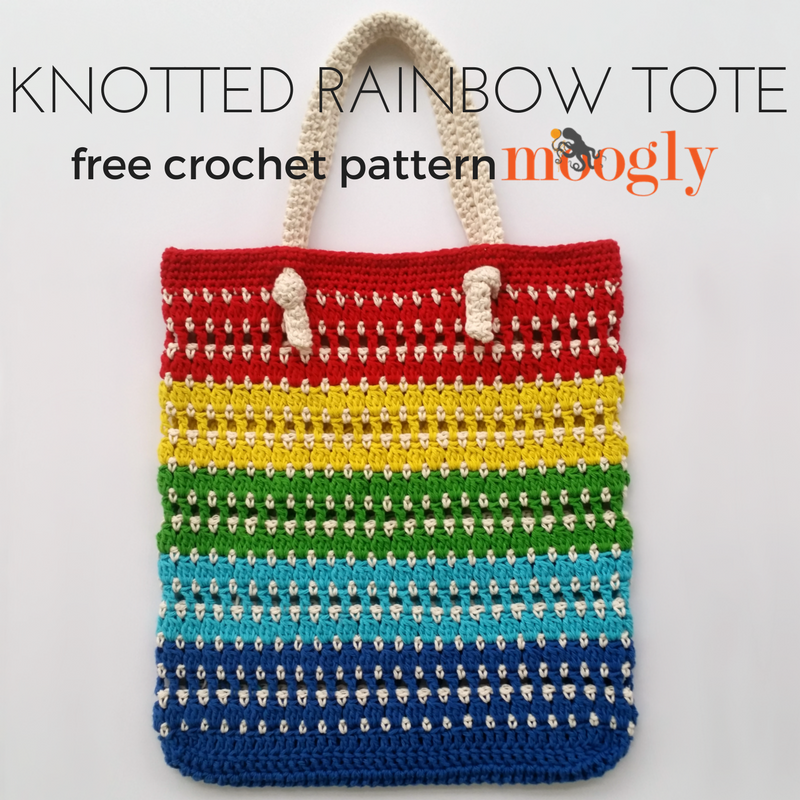 And I had a lot of fun playing with the colors and stitches in the Knotted Rainbow Tote Bag – a free crochet tote bag pattern here on Moogly! 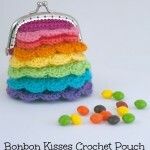 The “knotted” part of this rainbow is the handles! I’ve never made handles like this before, but I love them! 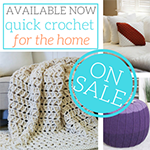 They are quick and easy to crochet (because we all know when you get to the handles, you’re eager to finish the project), and because of the way they are added to the bag, they are very easy to replace if they get dirty or damaged. 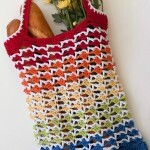 And even better, you can adjust the total strap length as needed. The folded design should keep them from stretching too much, but if you find they are too long or short for you… just move the knot! If you prefer a crossbody style, just make a longer strap… short handles, make them shorter! If you prefer it not so knotty, you can follow these bag handle instructions instead. 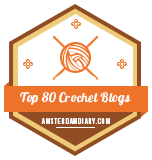 And if your strap is unusually stretchy, insert a non-stretchy ribbon before Row 4 and tie it right along with the crocheted handles! Beg Cluster – ch 2, [yo, insert hook in indicated stitch, yo and pull up a loop, yo and pull through first 2 loops on hook] twice, yo and pull through all 3 loops on hook. 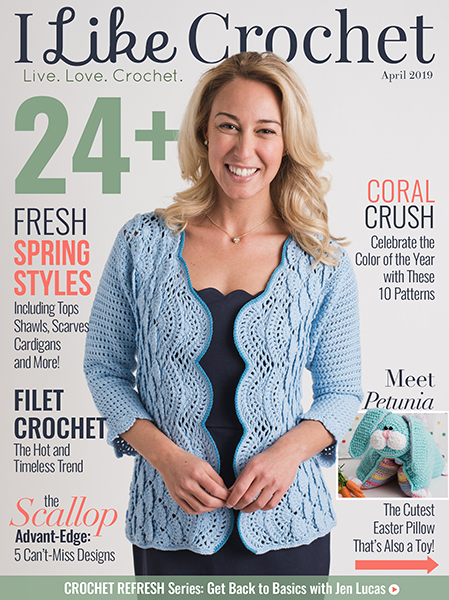 Cluster – [yo, insert hook in indicated stitch, yo and pull up a loop, yo and pull through first 2 loops on hook] 3 times, yo and pull through all 4 loops on hook. Round 18 – 23: Repeat Round 12 – 17 replacing Color C with Color D.
Round 24 – 29: Repeat Round 12 – 17 replacing Color C with Color E.
Round 30 – 35: Repeat Round 12 – 17 replacing Color C with Color F.
Round 36: Repeat Round 12; break Color B, join with Color F.
Assembly: Insert each end of a handle through a hole made in Round 39 above, from the inside of the bag to the outside. Tie a knot in the end of the handle to secure. 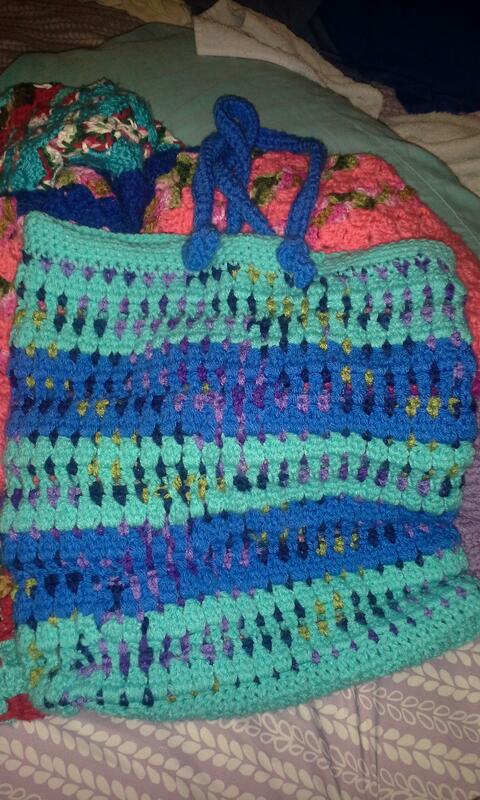 And that’s the Knotted Rainbow Tote! 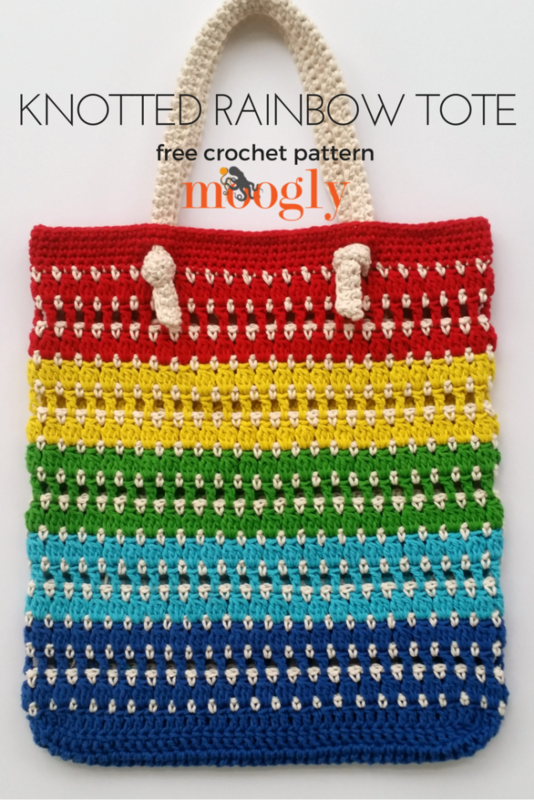 I hope you enjoy this free crochet bag pattern – I can’t wait to see what colors you all choose! 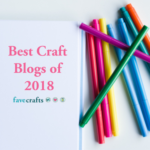 I have had the same issues with cottons, so I did a test when I made these: https://www.mooglyblog.com/bright-chevron-dishcloth/ and I’m happy to say there was no bleeding with the Lion Brand Kitchen Cotton! 🙂 Fading may happen over time, but washing in cold water should help, and adding a bit of white vinegar helps too. I’m also a big fan of Shout Color Catchers for things I’m very particular about. 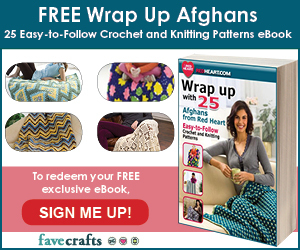 Love this and can’t wait to make it! 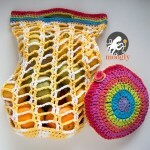 I have a weird question…could you theoretically crochet a zipper to this? It looks great Jinx! 😀 I hope you enjoy using it! 🙂 Thank you, I hope you enjoy it! At row 5 I joined color B. So, Row 6 am I doing both colors A and B or just B?